Sammie and Dave’s wedding reception at Greengate Ranch and Vineyard. Nestled in the Edna Valley outside of San Luis Obispo California are several rural and unique wedding sites. Greengate Ranch and Vineyard is one of our favorites to work at. The location is convenient and has wonderful views of the valley and space enough for any size event. 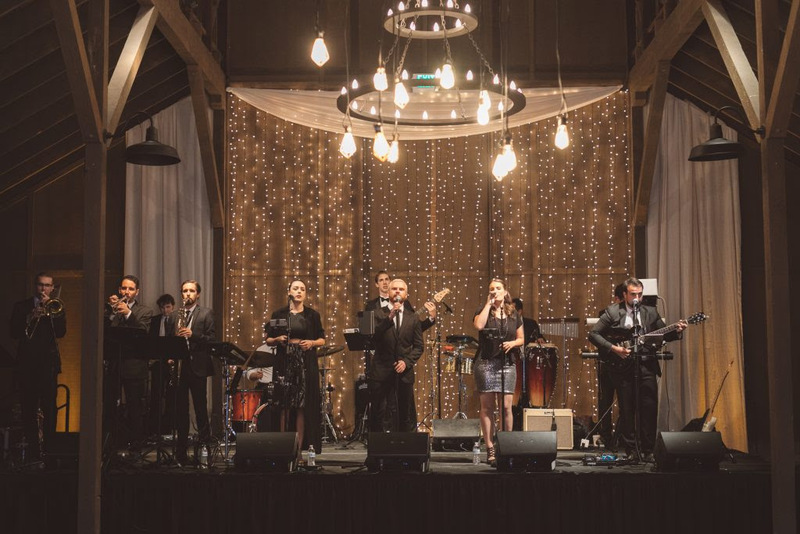 For Sammie and Dave’s wedding we worked closely with Vanessa Noel Events, which is always an experience to look forward to. She has a wonderful vision and knows how to translate it to her vendor team. 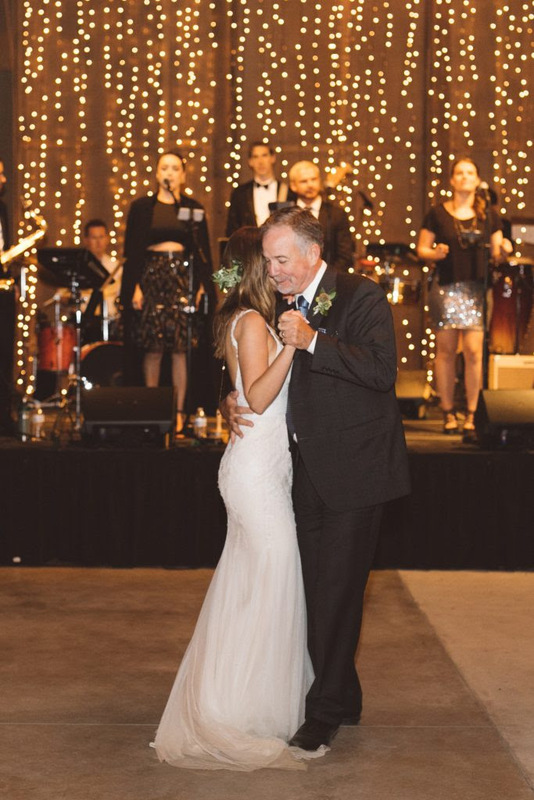 This wedding at Greengate Ranch and Vineyard is a great example of a wonderfully elegant wedding with a bohemian feel. 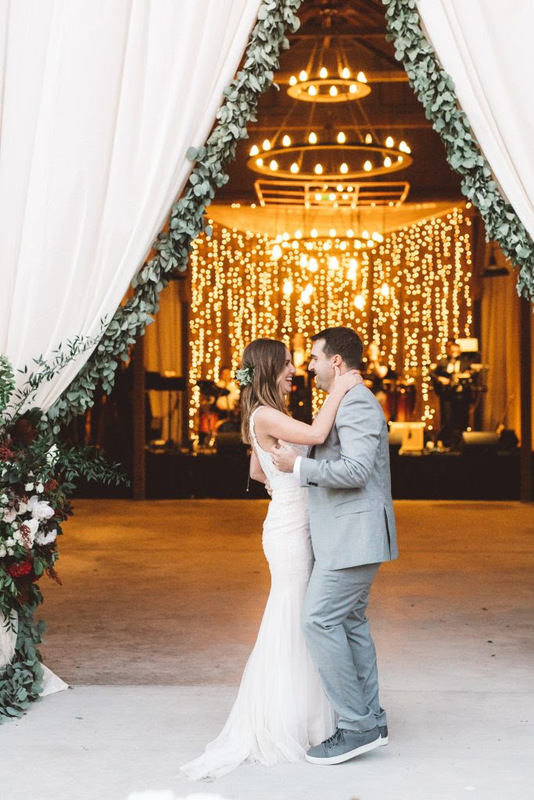 The scene inside the barn was set perfectly with our warm twinkle light backdrop (with over 3000 points of light) hung behind the stage and framed with off white chiffon drapes and a valance. The front entry of the barn was draped low with a garland edge creating an intimate sense of reveal to the dance area. Overhead of the dance floor we worked with Vanessa to create a custom copper chandelier with vintage bulbs hanging from it to create a warm unique feature over the dance floor. 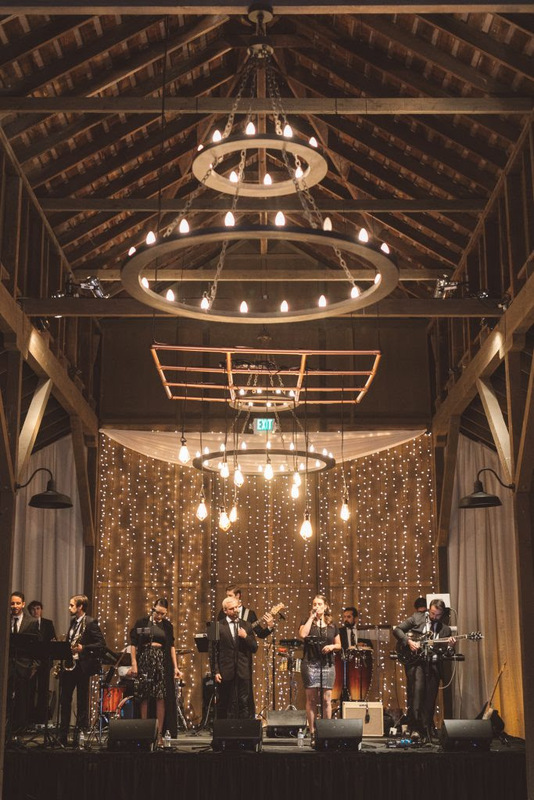 Once guests entered the barn they were treated to a great night of music and dancing with The Shrines. Specialty rentals: Scout Rental Co.
Is the iPad on the Guest List?